Not knowing who she descended from almost killed Dr Karyn Paringatai. Finding out her whakapapa saved her life. Does knowing your family history really matter? Dr Karyn Paringatai (Ngāti Porou) teaches and researches in Te Tumu: the School of Māori, Pacific and Indigenous Studies​ at Otago. 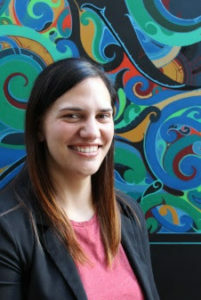 She works on both Māori performing arts traditions and sociological aspects of Māori experience. Her research has focused on Māori migration to Southland and the multiple dimensions of whakapapa, especially in light of a history of cancer in her whānau. Karyn is an innovative and outstanding teacher: she won the 2014 Prime Minister’s Supreme Award for Tertiary Teaching Excellence​. She is dedicated to drawing upon Māori knowledge traditions to transform teaching and learning in the University setting. Tickle your brain as we tackle the big issues in a series of informal conversations, stitched together by some of New Zealand’s leading thinkers, over a coﬀee and cake or wine and tapas. MindJam sessions are guided by guest experts, but it’s our questions, thoughts and discussions that make MindJam. Seats are free but limited, so please get your spot early, order your refreshments and be ready to join in. Friday night’s launch includes complementary tapas.